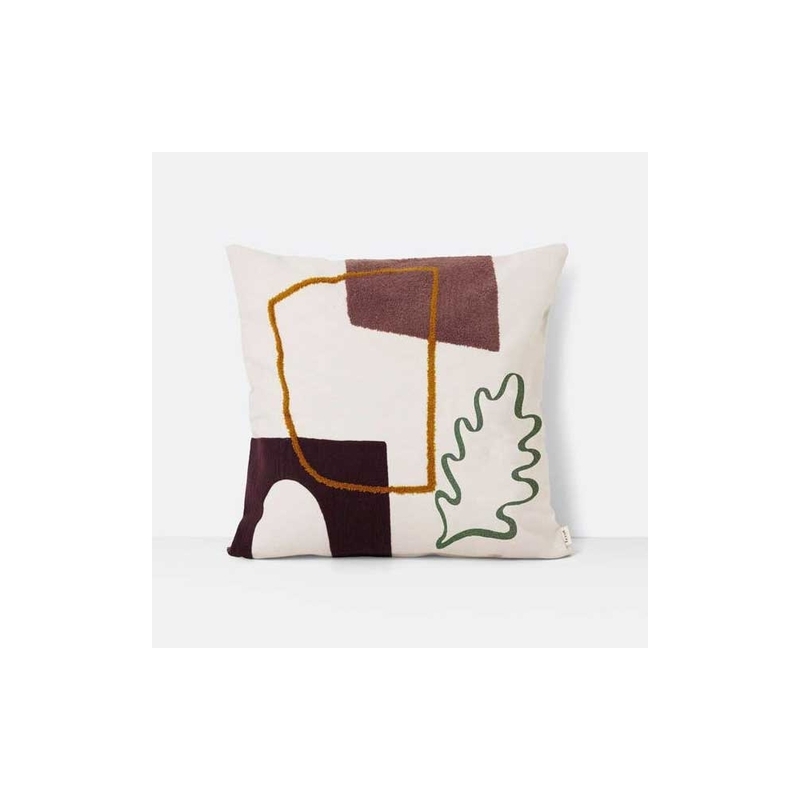 Add a touch of abstract to your sofa or bed with the Leaf Mirage Hand-woven Cushion With Insert from Ferm Living. Inspired by the shapes and colours of the mystical oasis paradises and desert landscapes, this abstract design features the form of a leaf with other shapes in a rich palette. Made from hand-woven cotton canvas, this decorative cushion brings colour and texture with its embroidered pattern. Ideal as a scatter cushion and can be mix and matched with other cushions and throws from our Ferm Living home accessories range.